Like the social networking topic we discussed a few weeks ago, blogging is simply too big to take in all at once. So much has been written about blogs that I’m a tad hesitant to add my text to the pile. For the sake of inclusion within this series, however, here goes. We’ll start today and continue with Part 2 next week. People have been keeping private journals for centuries. A diarist might have carried on an ongoing conversation with himself and used it as a record of his thoughts and feelings as those thoughts and feelings developed. Authors, meanwhile, have written public works in books and periodicals for mass-consumption. The cost of production (i.e., materials and distribution) limited publishing access to writers with exceptional knowledge, skill, or monetary resources. The Internet and easy-to-use software have removed the barriers to publication and the cultural shift that followed the advent of the social web has changed the nature of the journal-writing. Both effects may now be seen in blogs. A blog, by simple definition, is a journal maintained on the Internet. It was originally called a web log, then later shortened to weblog and finally, blog. Setting up a blog and publishing to the world is free. It also requires no competency tests or admissions process. That’s bad in the sense that there’s a lot gunk out there that would have been filtered out by learned editors in the past. But it’s good because there are many gems that those editors would have rejected, too. Knowledge and skill play significant roles in whether the blog is widely read, but the audience can decide that. Assuming a writer has something to say and knows how to say it well, a blog can be an effective vehicle with which to express a point of view to the world. This can be done immediately at virtually no cost. Some blog writers (a.k.a. bloggers) are online journalists, tracking traditional news in a nontraditional medium, or specializing in subjects that had no previous forums. Many bloggers are online diarists, making public what past generations would have kept private. And some bloggers post only for themselves, their friends, or family. They don’t seek vast audiences; they merely share with each other. Most bloggers allow readers to comment. They encourage it, in fact. It fosters discussion about the topic and lets everyone swap ideas and opinions. The result of all this is a rich cacophony of conversation ranging from insightful to useless, written with talents varying from gifted to abysmal, and reaching audiences from millions worldwide to perhaps no one. 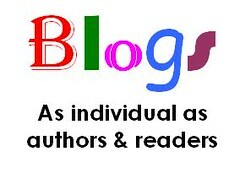 The blogosphere (i.e., the collection of all blogs) is online self-publishing writ large. Anyone can participate as long as they’re interested. Posts. The basic building blocks of a blog are the individual articles. They can very long — as long as the chapter of a book — or extremely brief. Some include links to other websites, photos, or video clips. Whatever their individual style, however, blog posts are usually displayed in reverse chronological order so that the newest posts appear at the top. Older entries get pushed down the page. Comments. Blogs almost always allow readers to add or view comments. This invites everyone to get involved in the topic. Tools. Often a blog has a collection of sidebar tools to aid the reader. These tools may include an archive of old postings, an author profile, and a “blog roll” of links to other blogs that the writer finds interesting. Obviously you’re already reading LibraryStream. Now visit a few of the library-related blogs listed in my blogroll in the right-hand margin. Explore, scroll, and click. Get a feel for the content and style of the various blogs. Would you like to see more library blogs? There are many lists out there, including the blogrolls of other blogs. I encourage you to wander! I enjoy browsing Dave Pattern’s biblioblogosphere tag cloud for interesting new topics, too. Want to break free of the library world? Go to Technorati or Google’s blogsearch and search any topic that strikes your fancy. Blogs are written about almost any subject you can imagine. See what’s out there. Now think about a blog YOU might create. Get your imagination humming. I’ll see you next week in Part 2. This entry was posted on Tuesday, January 22nd, 2008 at 4:05 pm and is filed under blogs, Learn More. You can follow any responses to this entry through the RSS 2.0 feed. You can leave a response, or trackback from your own site.